As the title states, eyebrows are important; and, as the picture clearly depicts – unless you want to walk around looking like Lord Voldemort, reconsidering the importance of your brows can be helpful. However, without understanding its significance and its function, I think many women neglect the eyebrows – thinking, as long as they pluck – there’s nothing more they need to do. 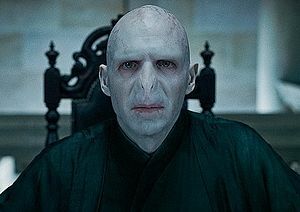 The truth of the matter is, without eyebrows, our faces lack shape and structure. There’s nothing that frames the features on our faces. Our hair, much like eyebrows, has a similar function – and, this is why it is commonly said that front layers “frame” the face – helping the overall appearance of your face to be slimmed (or so they say). Shamefully, when I was in my teens, I got tweezer happy and plucked away every single stray hair in the eyebrow region. 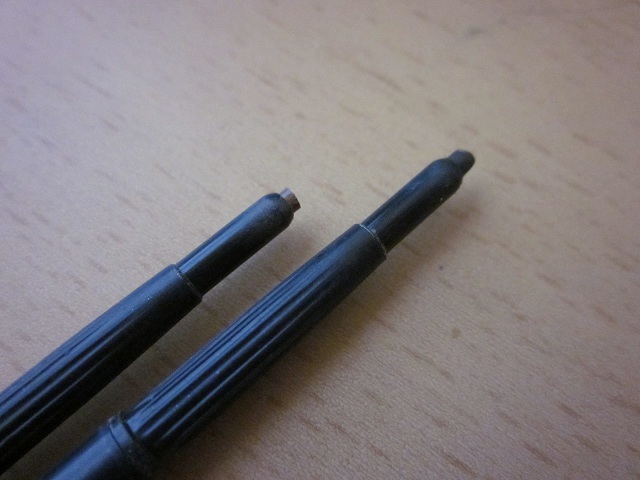 Because I persistently did this, the eyebrow hair that now grows – grows back sparse and patchy. Genetically speaking, the hair that grows on my face grows thin on its own; however, though this is great in general, it’s not too great for my barely there eyebrows. So, to all the youngsters out there who want to grow up so fast – don’t over pluck. And, thick eyebrows are ‘in’ anyway. For the longest time, I struggled to fill in my brows with powder because every one was saying that it was the best option for a “natural look.” Sure, this works if you have HAIR; and seeing as how powder doesn’t quite adhere to bald skin like I want it to – I’ve resorted to using eyebrow pencils to get the job done. But the problem has always been in the color range. I don’t have black hair and I don’t have typical brown hair either. And, if you follow the rule of thumb – shade your brows a shade or two lighter than the hair on your head – technically…there’s not a suitable color for me. Boo. 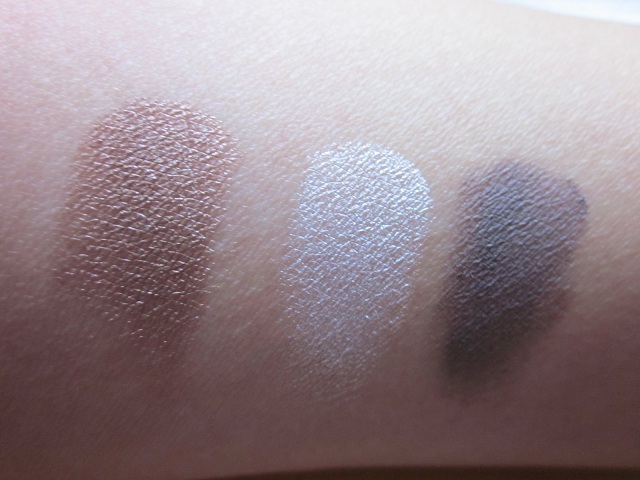 For years, I’ve been using a combination of MAC’s Lingering and Spiked eyebrow pencil to get the color I want (since there was no in-between shade. Seeing as how they’re $15 a pop – $30 on just my brows every few months was annoying, costly, and well, I felt stupid for doing that since I already have a lengthy and costly makeup habit any way to begin with. Notice how Lingering is probably more suitable for those who are medium brunettes and some blondes, while the dark shade, Spiked, is probably more suitable for those with really dark hair – pretty much black. Previously, mixing these shades was my costly solution until recently. 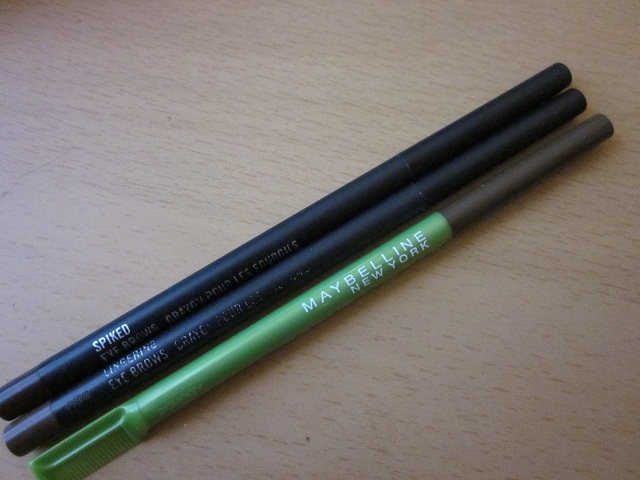 My new, cheaper solution that gets the job done way better: Maybelline’s Define-A-Brow pencil that looks just like MAC’s. 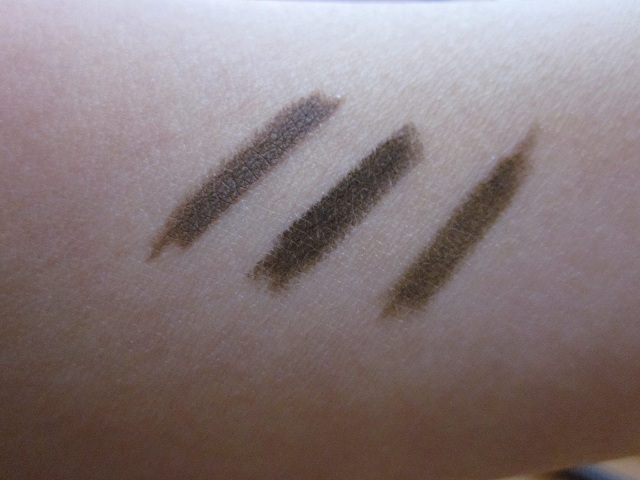 Only this time, I just need one pencil, in the perfect shade (MEDIUM BROWN), all for roughly $5. Holla. It’s the same waxy texture, that glides on easily, draws onto the skin yet fades into the hairs, and easily controllable. The medium brown shade is much warmer and is just what it says it is: a medium brown tone – it’s not too dark that it looks black, and it’s not too light that it looks like it’s meant for a blonde. Perfection. Best of all, the formula is smudge-proof – which is always a good thing since it’s never attractive to walk around with a half of a brow on a humid day. None of these products claim to be “waterproof,” however, I think all of them come close to being “water resistant.” It’s probably best to not go swimming with your eyebrows drawn on, but running to your car on a rainy day won’t smear your brow shade all over your forehead! 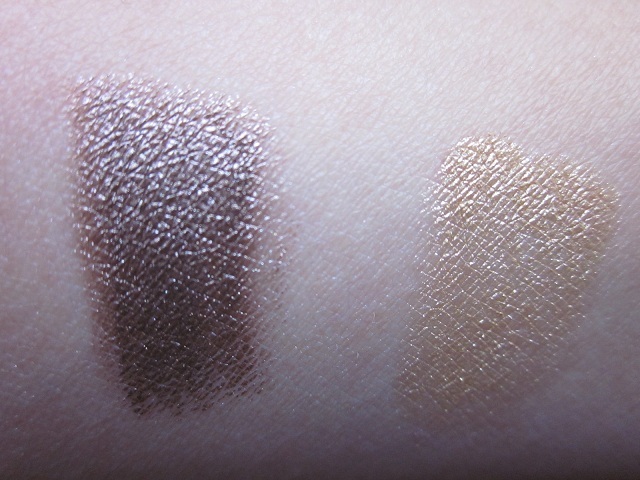 Pictured here are swatches of MAC’s automatic eyebrow pencils in Lingering, Spiked, and Maybelline’s Medium Brown respectively. So, instead of spending $30 just for brows every few months, I can take that $30 and spend it once a year on my brows. Problem solved, and I’m happy. What are your go-to brow products? 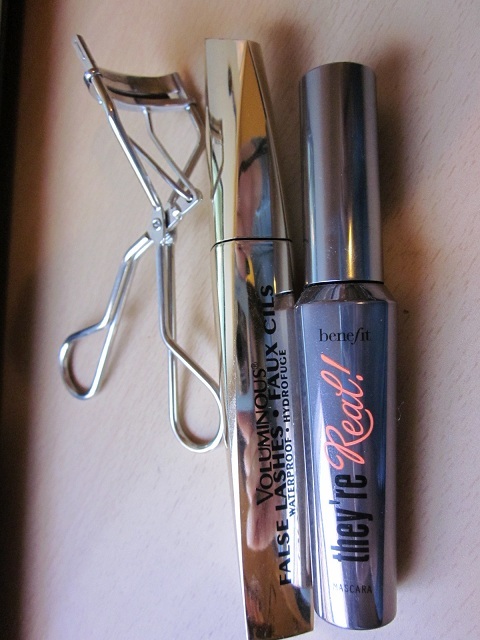 So, here’s another drugstore post – and I’d like to take a moment and preface this entry by saying that I’m quite pleased with items at the drugstore nowadays. The quality is quite comparable to deparment store/higher end products. And, in the end, we save ourselves money and time. Lately, my skin has been more sensitive than usual; and, I’m afraid it’s because I’ve been trying out new things and the inconsistency has made my skin temperamental. 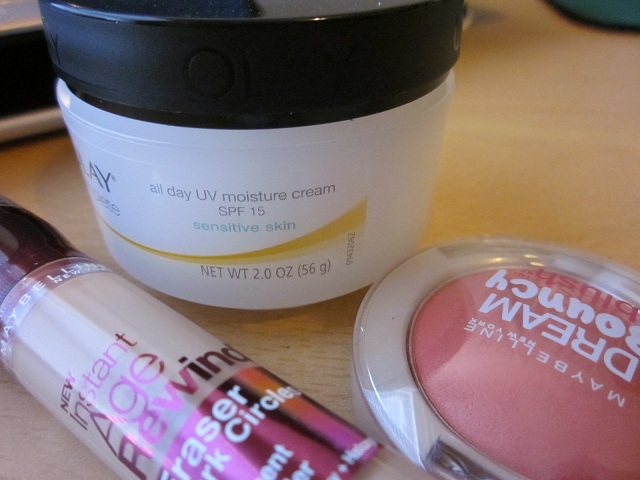 I’ve been using Oil of Olay ‘All Day UV Moisture Cream’ SPF 15 for sensitive skin as my morning moisturizer. Though it’s a cream, the product is still 100% oil-free, 100 % PABA free, and non-comedogenic (won’t clog pores). It provides all-day moisture, broad spectrum UV protection, and includes vitamin E and aloe. The box says that the formula is “light, non-greasy” for “a barely-there feel.” They sell a moisture lotion that does not come in a tub like this one, but I prefer the cream version because of its whipped, moussey consistency. I feel that it’s lighter and absorbs faster. Maybelline‘s Instant Age Rewind Eraser for dark circles is a treatment concealer that is great at concealing puffiness, darkness, and overall dullness around the delicate eye area. My shade is in Ligh Pale #20 and it’s light, fluffy formula makes it deasy to blend after foundation on days when I need to look a bit fresher. Works great, you can find it at the drugstore, and a little bit of it goes a long way. 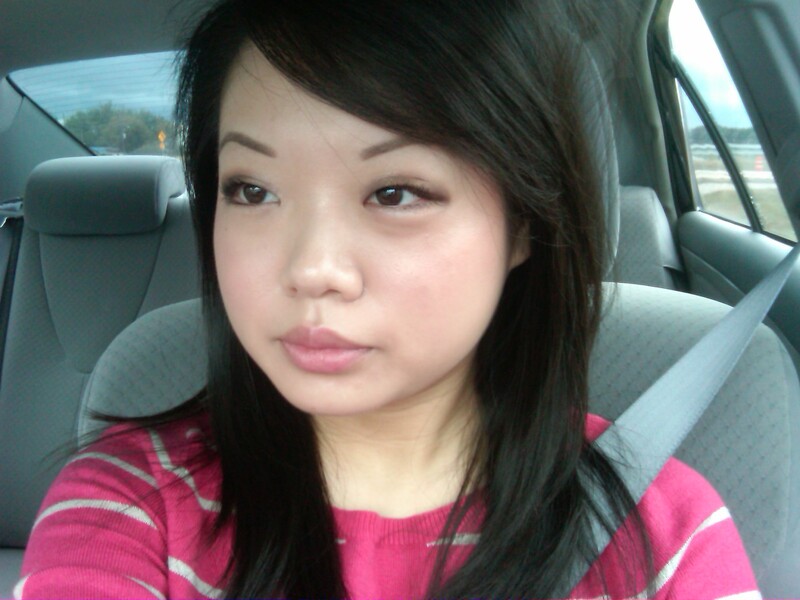 Maybelline‘s Dream Bouncy Blush in #20 Peach Sating has been my go-to color as of late. I’ve noticed that these blushes are quite sheer in color – even on me – and I’m quite fair skinned. #20 is a bright peachy-pink color that applies sheer and is buildable for a more concentrated application. It wears well and helps the skin look healthy. A good, budget-friendly foundation brush that I’ve been enjoying lately is by EcoTools. The synthetic and cruelty-free bristles are fantastic at applying cream products and evens out liquid products without streaking. Not too shabby for like $6. 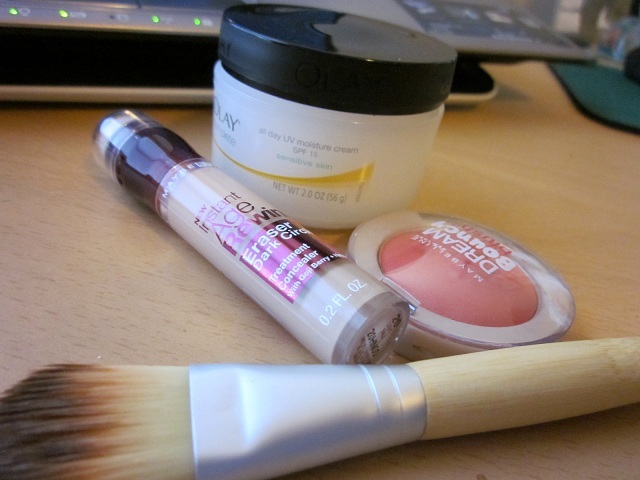 What are you enjoying lately from the drugstore? Boo, Monday. Is it just me or is January flying by? Pretty soon, it will be February; then, Valentine’s Day; then, my bestie’s birthday bash; then, my birthday! By then, spring would be on its way out and summer would be pretty much in full action. Of course, at that point, it will be halfway into 2012. Crazy. After some good reading material im the blog world, I’ve put together a short post: Tips for Monday. 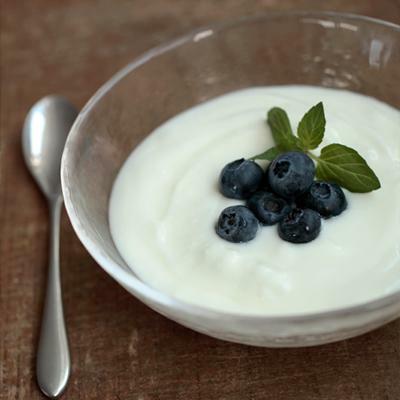 So, now that we’re supposed to be getting ready for bikinis and pool attire, I read on shape.com that sticking to plain yogurt or greek yogurt is best for maintaing a flat tummy – “the probiotic bacteria in most yogurts help keep your digestive system healthy, which translates into a lower incidence of gas, bloating, and constipation, which can keep your tummy looking flat.” Definitely something good to keep in mind! Adding high-powered fruits like blueberries or raspberries is good for your body (and skin) as well. For dry skins, applying yogurt directly to a cleansed face acts as a super face mask. For me, personally, I like to stick to having greek yogurt with some honey drizzled on top, or with some fruit, or I add a splash of nuts if I have some around my kitchen. Plus, our bodies are better hydrated this way, which is always a good thing for our hair, skin, and nails. I’ve noticed that if I go for a period of time without drinking water, I can feel it right away in my body; and, sometimes I think I can feel it in my skin too. Water naturally plumps the skin, so drinking more of it should give your face a nice and natural healthy glow because it’s coming from the inside. After finishing your green tea, try using the tea bags and put them over your eyes to de-puff them; or put it on a pimple. The anti-inflammatory agents help soothe the irritated pimple. 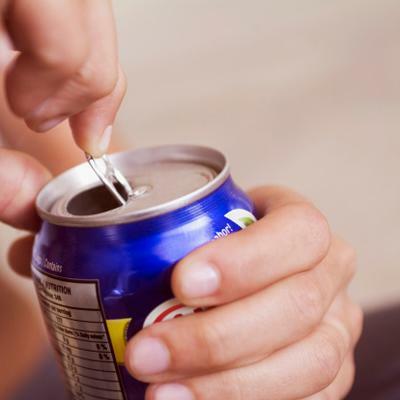 It won’t make the monster go away overnight, but it sure helps reduce the size – which always helps in the mornings. And, yes, there’s a “right” way of spaying perfume. I didn’t know this, because this whole time, I’ve been spraying it on my wrists and then rubbing them together. When I’m feeling extra fancy, I’d spray some on my neck as well. Perfume is tricky because it’s so personal; and, fragrances smell differently on different people (even if it’s the same kind) because of everyone’s different body chemistry. This is why I avoid giving fragrances as gifts because what I think smells good, may not “smell good” on another person. Also, I found that different notes within a perfume appeals to different people as well. Three things to keep in mind: 1.) don’t spray your perfume on over any kind of scented lotion or oil; spray on your bare skin to avoid any weird interaction of scents. 2. )avoid rubbing your wrists together because it “crushes” the perfume by breaking down the small fragrance molecules; instead, spray wrists separately, or touch them together gently. 3. )most importantly, we want to avoid overkill – so, don’t use more than a single spritz if you’re wearing eau de parfum; and, eau de toilettes are more dilute so all-over spritzing is okay. 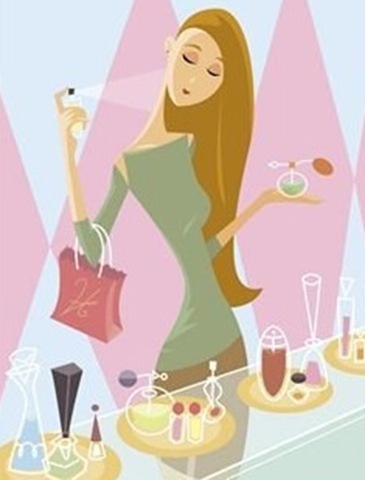 Most of the time, I like to spray perfume directly onto my clothing. I wonder if that’s a bad thing? I this it’s quite nice when perfume lingers on my clothing and I’m not bothered by it at all. I suppose if you rotate different perfumes occassionally or seasonally that may pose to be a problem. And, I’ve been transitioning to products that are more natural-based with less chemicals and ingredients I can’t pronounce. 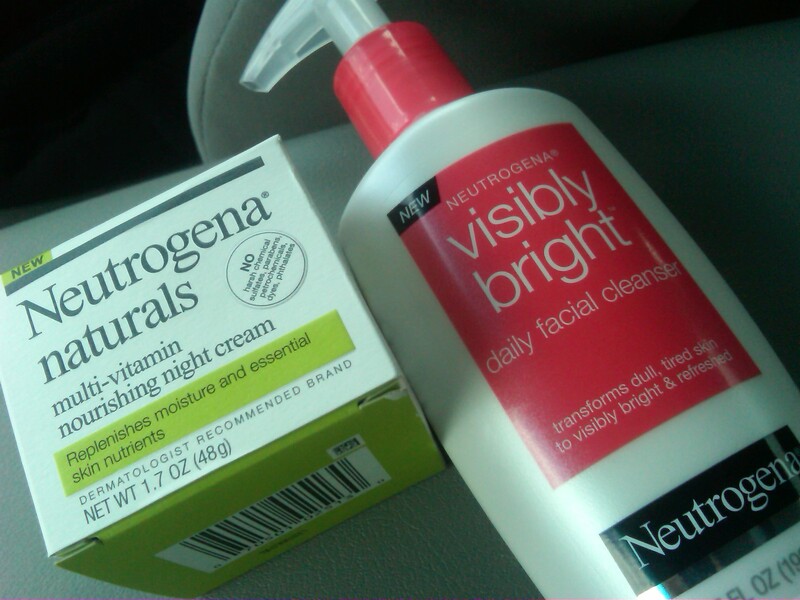 I noticed Neturogena’s new products at Target and picked up a new night cream and cleanser. So far, both are fantastic, smells great, and really seems to be delivering its claims. It’s too soon to tell if my life’s been changed by the products, but I’m happy to be exploring more purer products that can get the job done. Happy Monday. Thanks for reading! Ahh, yes, our eyes are the window into our soul. One of the things that makes my morning eye makeup routine a bit difficult is my lack of eyelashes. 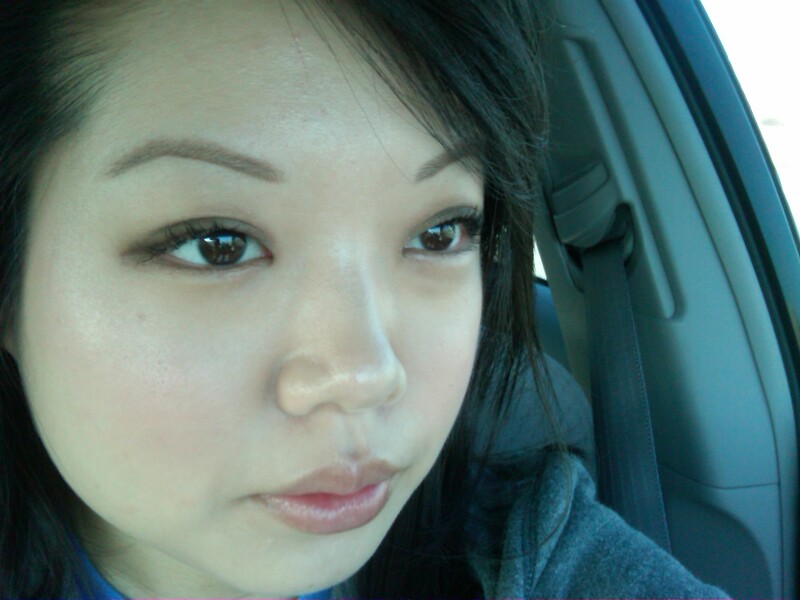 Unfortunately, Asians naturally have sparse, thin lashes that don’t curl and sometimes the lashes can’t curl. 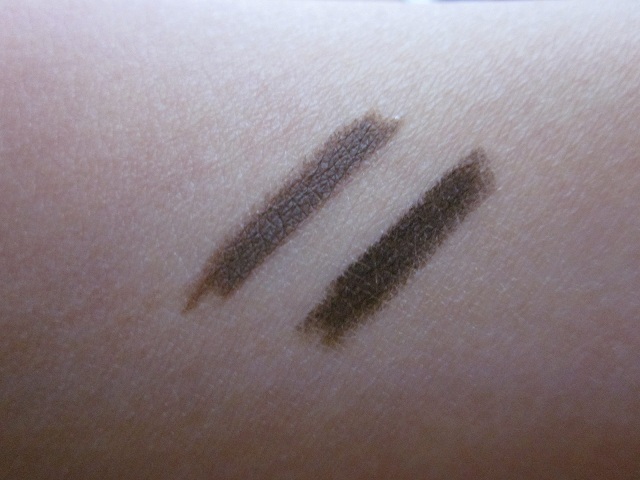 At the same time, many of us lack the Western double-lid crease – which makes eye shadow application difficult as well. I get asked all the time how to make Asian eyes appear to look brighter, bigger, and more attractive; and many Asians forego the mascara and lash drama all together because it’s not going to make a difference anyway. Eyes – no matter what your ethnic background is – are beautiful; and, my non-product-related advice is to accept your beautiful eyes just the way they are. Embrace your lack of eyelashes – but, do what you can to make the most of them. Your Arsenal should always include an eyelash curler, even if your lashes are the typical-Asian lashes that can’t hold the curl. We’ll get to that part later. Curling your lashes, lifts them up allowing the eye to look more open. Because Asian lashes point downwards, I feel like sometimes it acts as a ‘curtain’ and shields the tops of the eyelid slightly – making them appear smaller. After curling your lashes, use a waterroof mascara as a base and coat your lashes gently. At this point, it’s better to look into the mirror, with your head tilted up slightly while applying the mascara. When working with short lashes, the wand can hit the tops of your lid making little black dots appear. Waterproof mascara can be drying, but that’s kind of the whole point since it contains more wax than your average non-waterproof mascara. 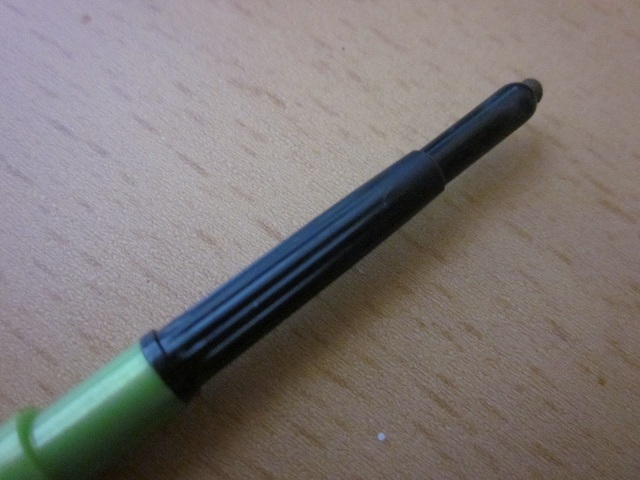 This allows the curl to hold a lot better since it was designed to withstand humidity and moisture. While that first layer is drying, move onto the rest of your routine (whatever that may be) while the mascara dries. I like to use the L’Oreal Voluminous False Lashes mascara. Next, layer a volumizing mascara on top. Lately I’ve been using Benefit’s They’re Real mascara since it’s a thicker formula and is widely known to also hold a curl. At this stage, you may notice some slight clumping – but for us, Asians – it’s okay because the slight clumping can provide the illusion of visible lashes. Another important step is highlight and contour the eyes so that they have some definition. 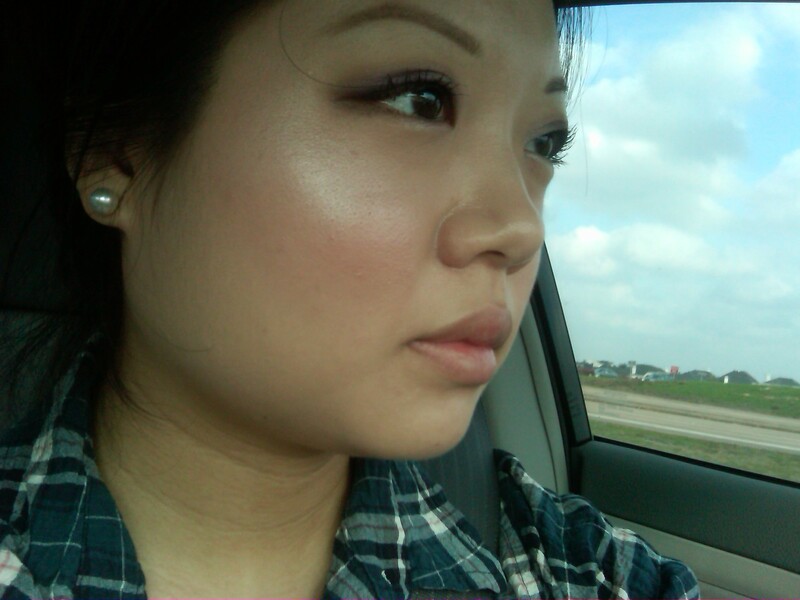 Since Asian lids are quite flat, highlighting and contouring is essential to make the lids look less flat. 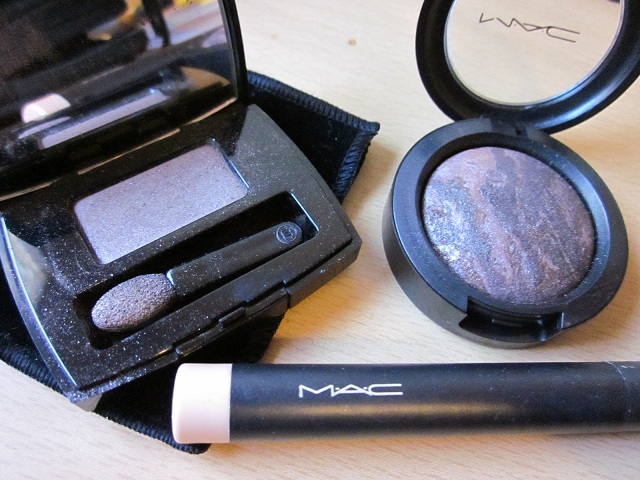 I use MAC‘s shadestick in Butternutty to highlight the inner corner of my eyes (for a brightening effect); and I use Chanel‘s eyeshadow in Safari or MAC‘s mineralize eyeshadow in Twilight Falls to give my eyelids some depth and definition. In my opinion, sticking to a darker-taupe shade is key because it compliments the yellow/olive tones in Asian skin. It’s also less stark than black; and, less intense because many women resort to using a thick black line across the eye. This may sound time-consuming, but really, after some practice – this “eye routine” takes about 5 minutes (if that). Using a good blending brush can also help fade contour/crease color out a bit, especially if you’re going for a more natural and subtle look. However, if you want to keep it really minimal, I highly suggest getting an eyelash curler and pairing it with a good, trusty waterproof mascara. Even if you skip everything else, your eye will look more open and wider just by getting your lashes up and out – and essentially, out of the way. Another quickie post. Thanks for reading. *Pictures taken on my Blackberry Bold. One of the things that makes me un-exciting in the “beauty world” is that I don’t wear daring colors on my eyes, nor do I experiment with colors easily. For whatever reason when I do, it’s to play around with colors only to wash it off shortly after application. However, my face routine changes constantly – mainly because I know what I like, I know what I’m trying to achieve, and even though I’m still playing it safe – face products in my collection get used on a routine basis when I rotate certain products. I stick to a good foundation, sometimes a trusty concealer (when needed), a frosty-pink blush, and my good ol’ highlighter that won’t let me down – even when hungover or sick. For me, the “base” portion of makeup (all products applied to the facial skin) is very important to me. I personally believe that you can own all the fancy tools and makeup items you want, but when you apply it to a canvas that’s not well put together, nothing really matters. Not to say that I have perfect skin or to say that I don’t have any issues with my skin – but, I work hard to maintain a healthy complexion; and, I like to emphasize glowiness, smooth texture, and most of all, a natural appearance. Do I take pictures of myself in my car? Why, yes. I do that because sometimes I like to check my makeup/face/skin in natural lighting – and, I want to ‘see’ what others see – so, I take a quick picture to see that image. I know it sounds bizarre but I find that it’s better than looking in a mirror under bathroom or flourescent lighting. Anyway, though my eye makeup is uninteresting as it’s quite neutral, I’m wearing Chanel’s Perfection Lumiere foundation in B10 in this picture. In natural lighting and on camera, the foundation works fabulously. It functions well in real-life too, but sometimes I think it’s almost TOO perfect – if there is such a thing. 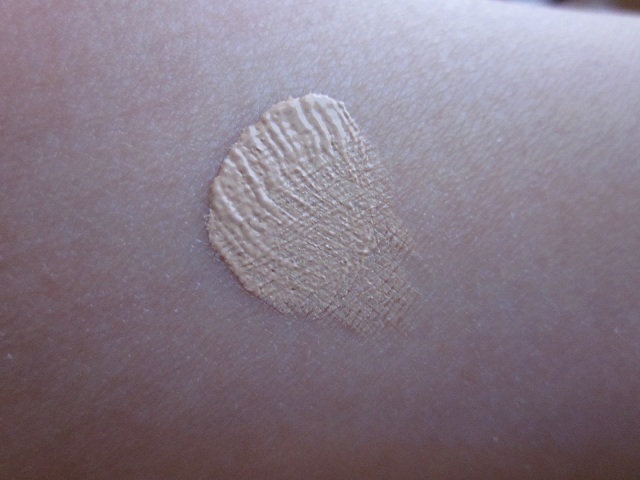 I love how the foundation minimizes and in some cases, eliminates pores; and, it covers discoloration/issues very well. The reason why I think that this foundation is “too perfect” is because it covers so well that my mom told me that I looked like a mannequin. She thought it was weird that I took it as a compliment, lol. Other than a staple foundation and a good skin care regimine, having a go-to highlighter is your best friend. When applied to the high planes of your face, you instantly look more radiant, awake, and in my opinion, prettier. There’s a dose of innocence and girly-ness that comes with a slight healthy glow to your face. It also makes you appear to look glowy – but in a natural-but-not-really way. After all, something was applied to fake a glow, but in reality, skin naturally has a sheen to it. This is why an overly matte face looks fake and quite flat. I like to apply Dior’s Amber Diamond on my cheekbones, down the bridge of my nose, and gently in the middle of my forehead. Sometimes, when I remember, I’ll apply a dab onto my chin. Even though I have combination skin, I still manually apply a highlighter to my face and carefully blot my nose throughout the day. For some reason, people always assume that having oily skin makes you a bad candidate for highlighters. But really, everyone can benefit from it when you use it wisely. Use a light hand and a brush that gives you good control over the product you’re trying to apply. P.S. Pictures have not been altered in any way. However, I do admit that the lighting quality is quite poor in the last picture! I know this is a rather brief post. Thanks for reading. *Location of picture: my car, hehe. So, rumors have been circulating through the YouTube and blog world that drugstore brands are coming out with bomb-diggity products in the year 2012. I must say that I got sucked into this trend and so on my way home today, I stopped by Walgreens and CVS in a non-busy area to score some goodies. And, much to my surprise, I think I was the first one one-scene – mainly since the displays were untouched and stocked fully. More information on these later after my usual experimentation process. 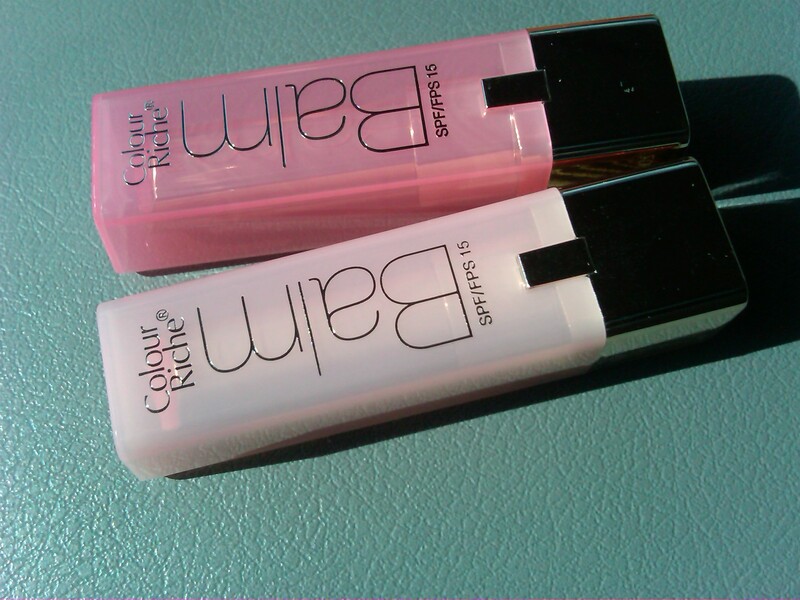 So far, I’m loving the L’Oreal Color Riche Balms way better than Revlon’s Lip Butters. 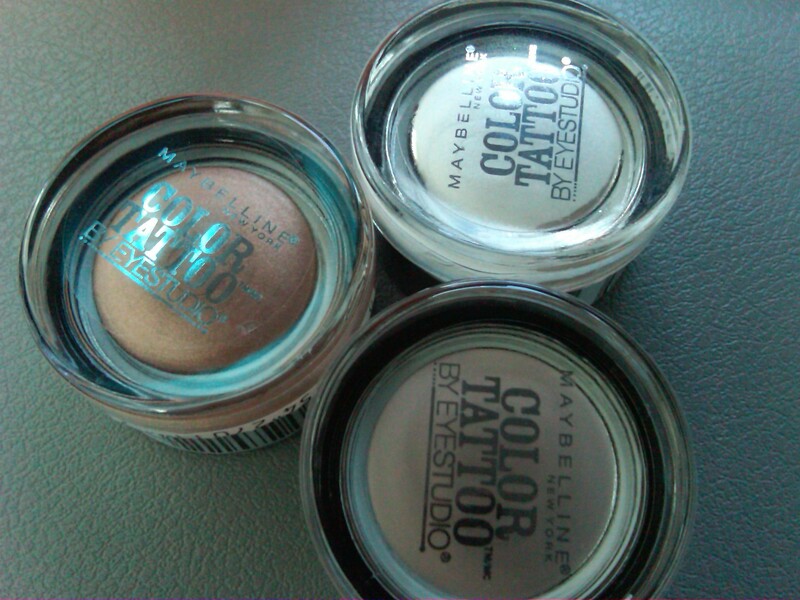 Yes, Maybelline Color Tattoo cream shadows are exactly like MAC’s paint pots, but way cheaper. 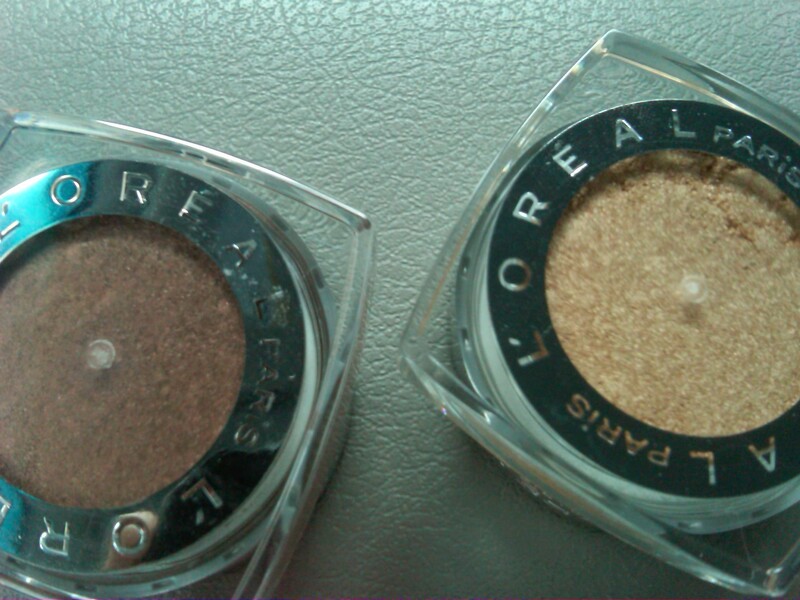 My favorite from the get-go are the Infallible shadows by L’Oreal; the moussey texture is just like Armani’s Eyes to Kill shadows, but retail for fraction of the price. Seriously. 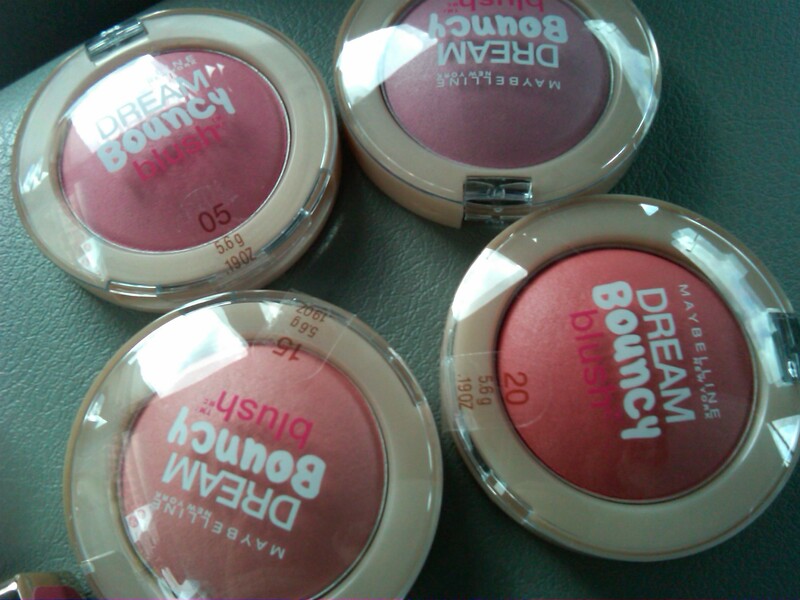 The Dream Bouncy Blushes are buy 1 get 1 half off and are really cute. I haven’t played with them yet, but I’m definitely going to dabble in them in the next few weeks. So far, I’m quite pleased with what I snagged today. I haven’t been this excited and happy with my purchases at the drugstore in a long time. I feel the urge to get more of the Infallible shadows while they’re still available, but I will control myself…or at least attempt to. What are you liking? Anything you want to pick up for yourself? Introducing: Chanel‘s nail polish color in “Black Satin.” I know that it doesn’t seem like anything special since it’s your basic black nail polish (or so it seems). However, despite its simplistic look, a good black nail polish is actually hard to find. Ideally, a black nail polish that performs well is considered opaque and rich in color – meaning, the color must present itself as a true black. Less expensive black nail polish applies streaky and thin, and often, the color after application may translate to an off-black or even a dark gray tone. 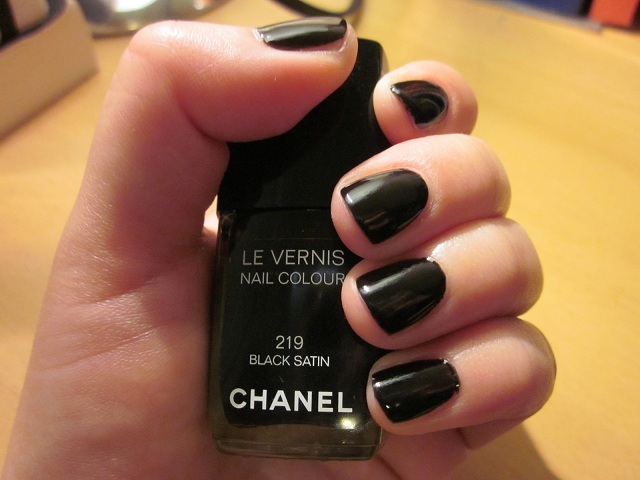 Though plenty of high-end nail polish brands, such as OPI, China Glaze, Essie, and Orly make perfectly good black nail polishes for under $10, it is understandable that Chanel’s polish may seem unnecessary. Truth be told – this is a splurge item, which is totally fine by me. 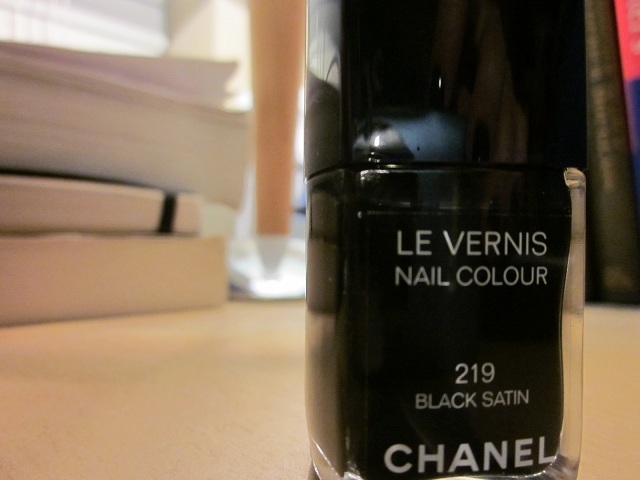 I chose to purchase Chanel’s Black Satin because I wear black nail polish quite frequently (when I’m not working) – not because I’m going for a dark and dreary look, but because I enjoy the color itself. I think that it looks pretty in the Fall/Winter seasons, paired with other darker colors that are normally associated with Fall/Winter. I like that it’s a bit unusual, as it seems that many people tend to stay away from a dangerous color. Chanel nail polish retails for $26, so I normally try to reserve my Chanel nail polish purchases for the “special colors” only. Though black may not seem special, I do wear it quite frequently; and for weeks at a time on my toes – so I felt justified, haha. According to Chanel’s website, they describe their polishes’ “state-of-the-art formula strengthens and moisturizes nails as it delivers long-wearing, high-shine, chip-resistant colour.” I would say that I honestly can’t tell if the formula mositurizes; however, I do agree that the polish is in fact long-wearing, provides high-shine, and is chip-resistant. I also appreciate that the polish applies evenly without streaking, too. I think the formula itself is high-quality because from the first brush stroke, the color is delivered in a thick manner, but not goopy and messy. The brush is easy to control so that you can manipulate the color to match your own nail bed. This makes application time very short and drying time is also quite short as well. 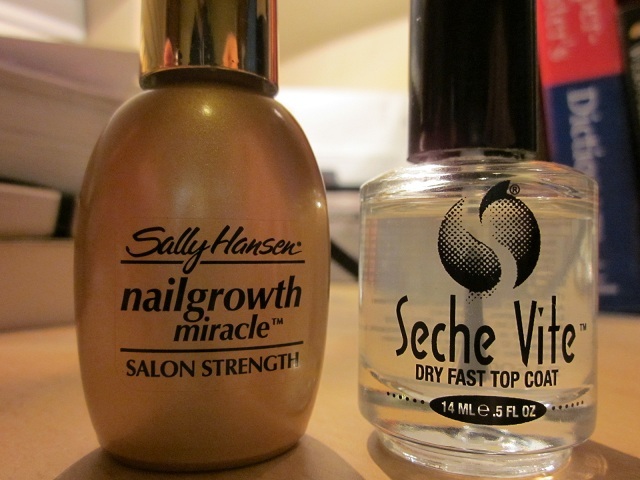 I pair all my nail polish applications with Sally Hansen‘s nail growth polish as my base coat; and, I use Seche Vite as my top coat – though I tend to use this one only when I’m in a hurry. The smell of Seche Vite is like no other – I feel like I need to leave my door open and wear a gas mask when I use this. But despite that pungent odor, it does make your nail polish dry in 10 minutes. All in all, I do recommend Chanel’s nail polishes. However, because they are so expensive, I will leave it up to each individual to make their own decisions. I can honestly say that this color is not a total must-have and I won’t say that you need this product in your life right now. I would recommend it to those who wear black polish often; and, to those who are looking for a black polish that will always deliver superb results.